An American Home Health Insurance Company review leads to a home healthcare and insurance referral company called American Home Health. This company is not an insurance company in and of itself, but it serves as an insurance referral service while providing quality home health care for children and adults suffering from temporary or permanent health situations. If you are looking for health insurance for yourself, enter your zip code in the box to compare health insurance rates for free now! When potential clients contact American Home Health, it is generally because they have a loved one in need of healthcare in the home, or they themselves need home healthcare. Some of these individuals have health insurance and others do not. Trying to pay for home healthcare on your own can be overwhelming. For those without insurance, American Home Health refers the individual or family to a health insurance provider in the area. 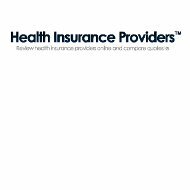 They do not contract directly with health insurance carriers, so there are not specific benefits to the company, if they refer individuals. It is a service that helps them to gain clients through relationship and through insurance coverage of home healthcare. In addition to referring individuals to health insurance companies, American Home Health also provides in homecare in two different ways. The first one is home healthcare visits. This is when a nurse, an aide, or a physical or occupational therapist comes to the home of the client, as needed. Some clients need a home health visit weekly, others monthly, and still others, several times a week. The second way home health care is provided is through private duty care. This is for those who need ongoing, continual care. A home healthcare provider can come to the home while the family is at work or stay around the clock for night care. It is very trying on a family who has to provide continual care. Having a break, while a home health provider cares for a family member, can bring much needed relief. American Home Health sees two types of clients, pediatric clients and adult clients. Pediatric clients are children who are in a fragile state because of their health, yet have been allowed to be at home instead of at a hospital. The home health provider works in close contact with the pediatrician to make sure all the proper healthcare is being given at home. Pediatric home healthcare is for infants who were born prematurely, have heart problems, breathing problems, or sleep apnea. Children who were born with birth defects, have an infection, or have heart, neurological, or orthopedic problems also benefit from home healthcare. Children and infants who have temporary issues due to an accidents, surgery, or burns and those with permanent or long-term needs such as terminal illnesses, cystic fibrosis, cerebral palsy, or mental and physical handicaps can also benefit from having a home health care provider on a regular basis. Nurses and aides that provide care to these children have been highly trained in how to specifically meet the needs of children or infants suffering in these ways. They are trained to use monitoring devices, change feeding tubes, give ventilator care, clean wounds, administer IV fluids, conduct oxygen therapy, and give ostomy care. For adult clients, American Home Health provides different types of care, as well as respite care to provide family members who provide continuous care a much needed break. Providers are trained to administer antibiotics, provide pain management through medication, assist with chemotherapy, provide fluid therapy, and administer special medications. In addition to these medical and respite services, home health providers and American Home Health staff serve as case managers to assist family members in making sure all medical care is being coordinated and that each provider knows what the other is doing. This requires documentation, contact with the primary care physician, and contact with specialists. In doing this, it prevents medical issues from falling through the cracks. Case management also pertains to monitoring the client’s health insurance carrier and paperwork to be sure what can be covered by insurance is covered. By providing comprehensive case management the very best care can be provided on all fronts. If you are looking for health insurance for yourself or your family, enter your zip code in the free box to compare health insurance rates now!